KNOXVILLE - Nuclear Regulatory Commission staff will discuss the 2017 safety performance of the Browns Ferry nuclear power plant, operated by the Tennessee Valley Authority, during an open house on May 30. The open house will be held at the John C. Calhoun Community College’s Aerospace Training Center Lecture Hall, 6250 Highway 31 N, Tanner, Ala. 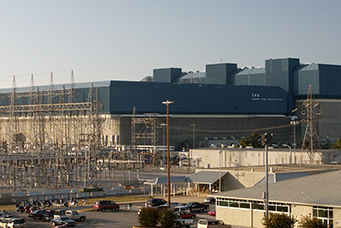 The three-unit Browns Ferry plant is located near Athens, about 32 miles west of Huntsville. The open house will run from 5-6 p.m., and NRC employees responsible for plant inspections, including the resident inspectors based full-time at the site, will be available to discuss its performance. The NRC concluded that the Browns Ferry plant operated safely during 2017. At the end of the year, all but one inspection finding and all performance indicators on Units 1-3 were green or of low safety significance. As a result of one security-related finding in the second quarter of 2017, all three units were subjected to additional oversight in addition to the NRC’s normal levels, which entail thousands of hours of inspection each year. The NRC completed an inspection on the security finding and now all three units are under normal oversight. Inspections are performed by three NRC resident inspectors and inspection specialists from the NRC Region II office in Atlanta.